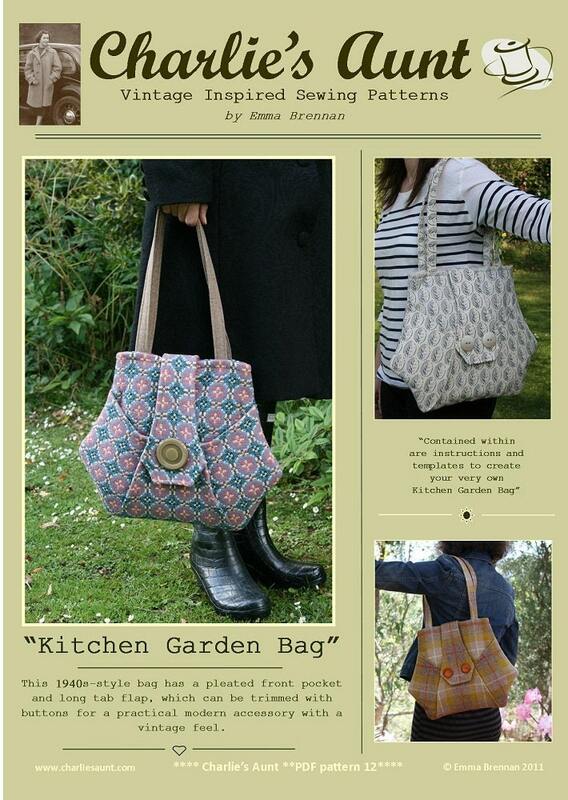 The 1940s inspired Kitchen Garden Bag PDF SEWING PATTERN combines practicality and prettiness. The pattern gives detailed instructions and templates for view 1 of our printed pattern of the same name. 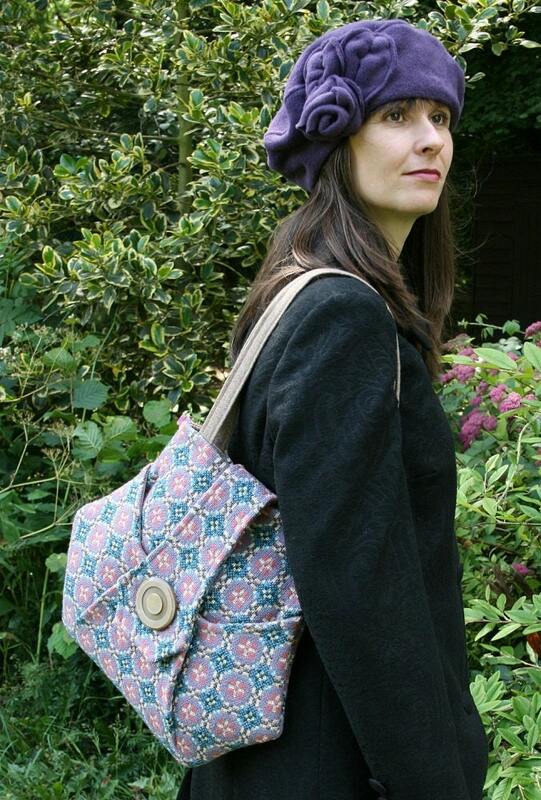 It features a deep pleated front pocket and long tab flap, finished with one or two vintage buttons. The Kitchen Garden Bag is constructed flat. 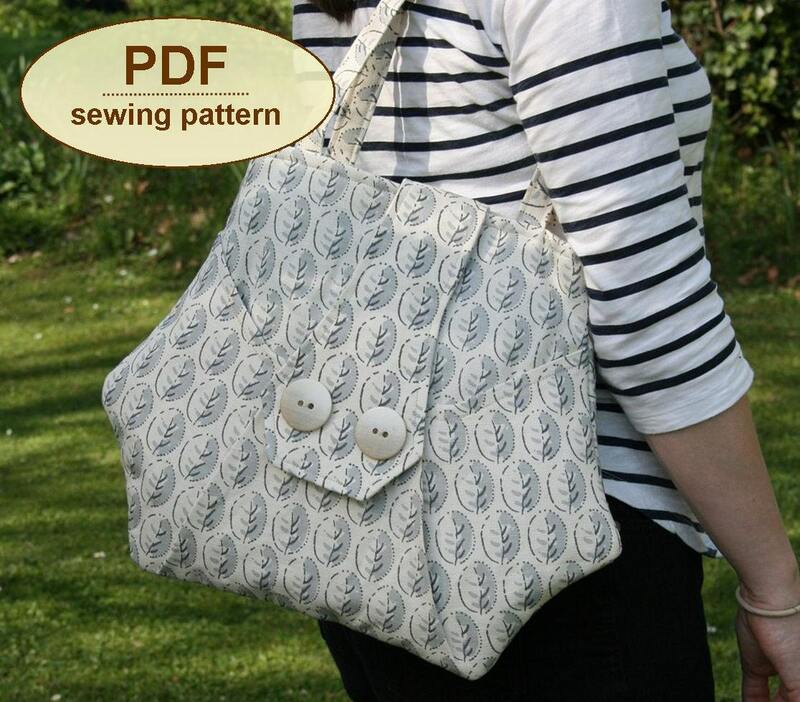 The pattern also has a template for an interior zip pocket. 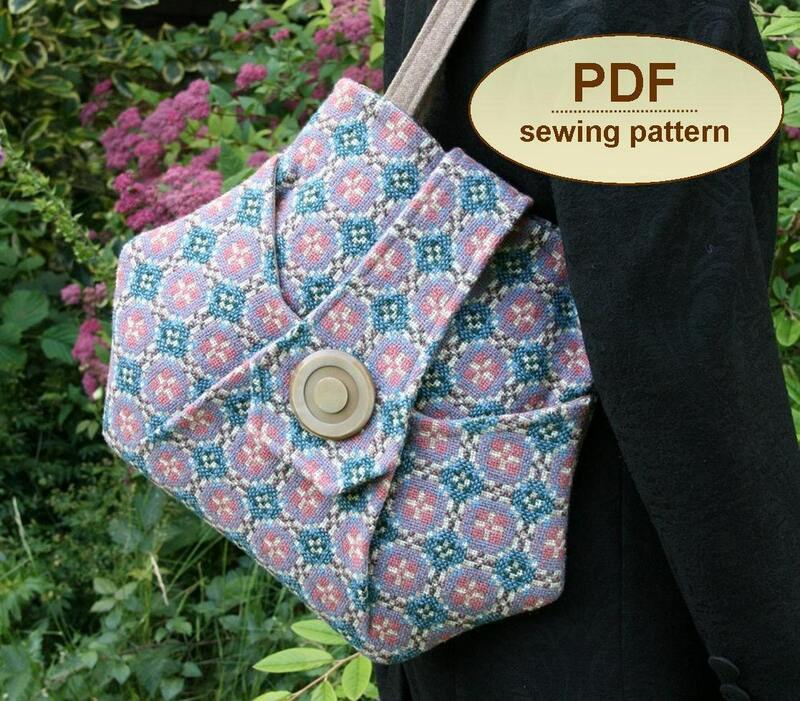 This PDF pattern has 16 pages – 8 pages including photographs, detailed instructions and illustrations, plus 8 pages of full sized pattern templates which you must print on letter (A4) paper and cut out. Many of the pieces are too big to fit on one sheet so you will have to tape them together after you have cut them out. Instructions for this are clear. 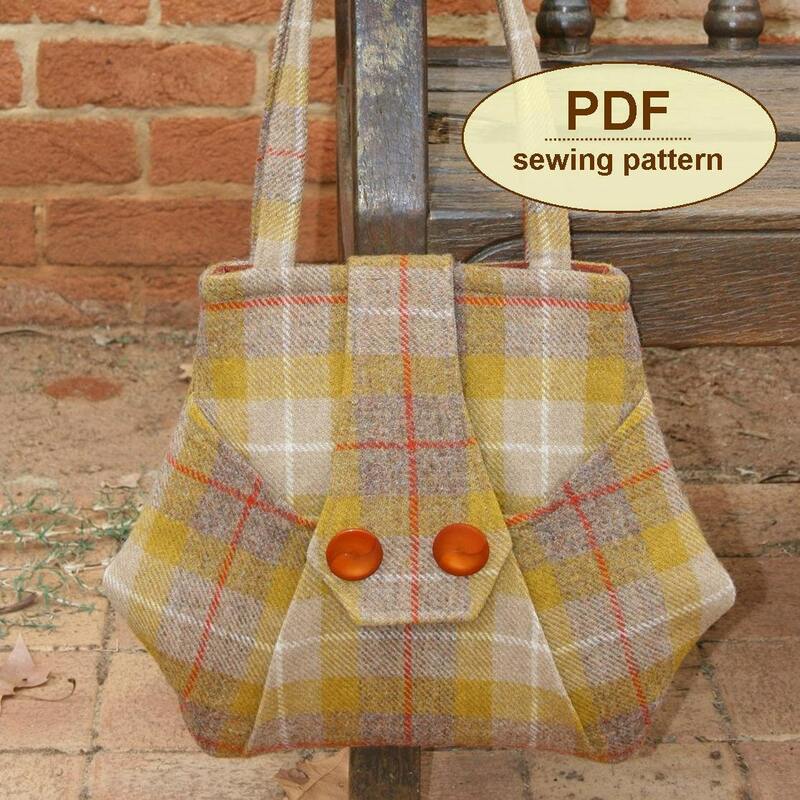 Note: This is a PDF SEWING PATTERN and it will be emailed to you on receipt of payment.